In the tenth century, Gorm the Old became the first historically recognised ruler of Denmark. He ruled all of Jutland from Jelling, and his son Harold Bluetooth is reputed to have extended this rule even further when he “won all of Denmark”. Between them they created a monument that is unique in the Nordic context at the highest point in the landscape west of Vejle. 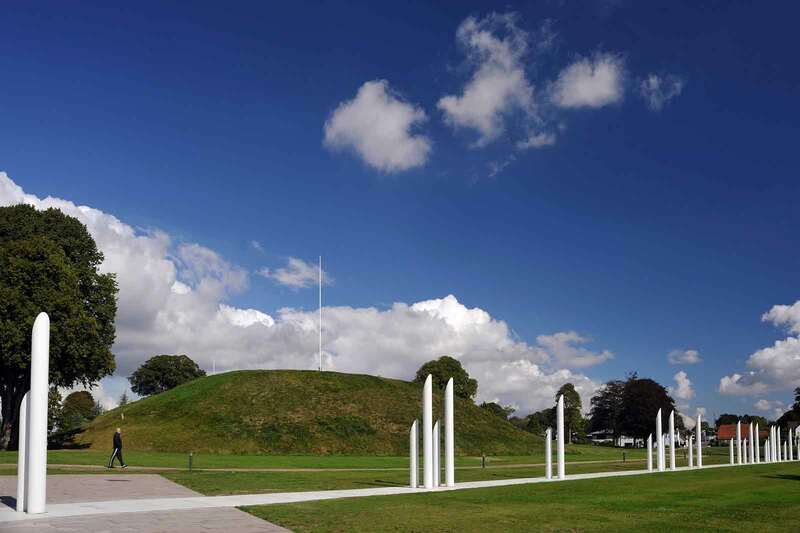 There is an award-winning visitor experience centre which lies in the middle of the monument complex around Jelling Church. 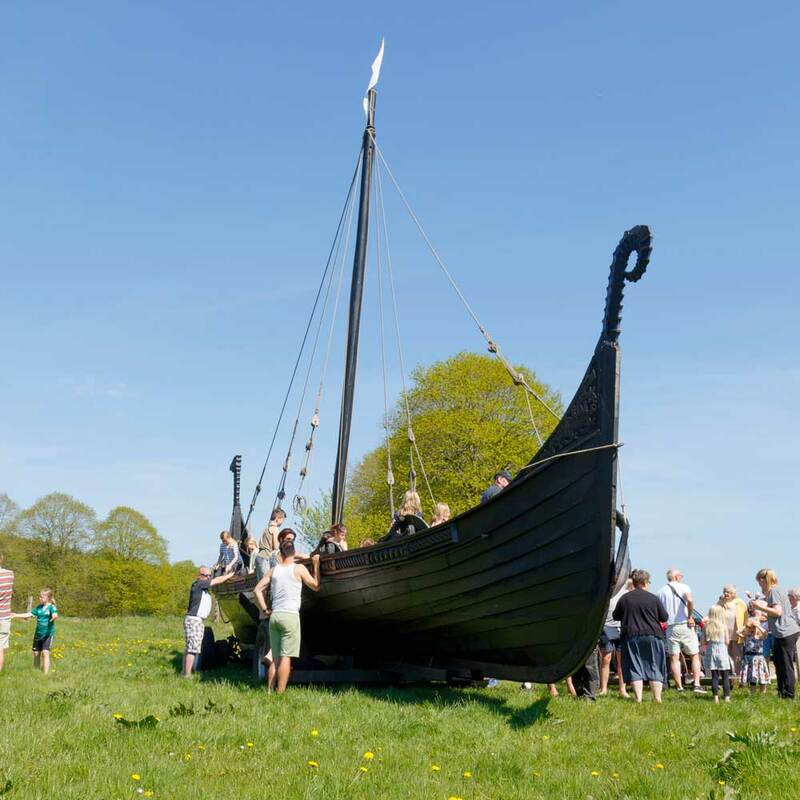 Here you can learn of the Viking kings Gorm and Harald, their rune-stones, the huge ship-setting and the gigantic palisade which was built over a thousand years ago.